Conair’s reputation for flying, operating and maintaining specialized aerial fire suppression aircraft is well-known throughout the world. 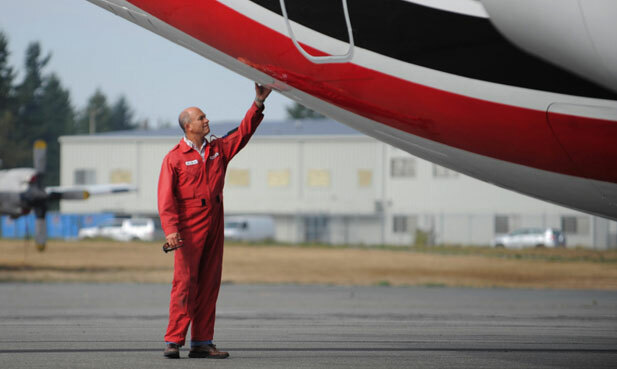 Our pilots boast an average total time of more than 7,500 hours and our full service ground crew specializes in maintaining our own fleet of fixed wing aircraft as well as customer-owned aircraft. To maximize our ability to deliver continuous aerial fire management protection to our clients, we are proud to offer a full suite of aerial support services.